The man who added the catch phrases "Git-R-Done" and "Lord, I Apologize" to the American lexicon and drew fans by the pickup truckload to his shows proved to be one of the most successful comics of the early 2000s. Dan Whitney, known better as Larry the Cable Guy, claims he was born in the back of an El Camino during a Foghat concert. His drawl may sound Southern, but Larry was raised on a pig farm in Pawnee City, NE. His upbringing was conservative, traditional, and churchgoing. That didn't mean that strip bars were out of the question when Larry reached 18 (maybe even a little earlier). Fascinated by this redneck life -- "redneck" being a term he is not only fine with, but endorses -- and always looking to comment on it, Larry used his humorous observations to captivate his friends, who dared him to try his hand at standup. He did in 1986 and the fans' reaction to his slow, approachable style had him hooked. Two years later, he relinquished his title as funniest bellhop at the Ramada Inn and set out for a career in comedy. His one-liner-filled act soon caught word-of-mouth fire in the South and brought him to the attention of television. Appearances on Evening at the Improv and Comic Strip Live increased his fan base past rural America, but it was on the nationally syndicated Bob and Tom Show on radio that Larry got the most exposure. 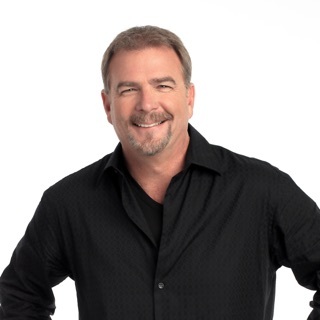 His success with radio continued when he became a regular on Jeff Foxworthy's Country Countdown Show and Larry soon started syndicating his "commentaries" to 14 markets across the country. 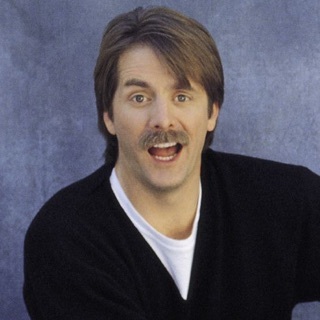 In 2000 Foxworthy invited the comic to join his Blue Collar Comedy Tour, along with Bill Engvall. The successful tour grossed $15 million, sold more than 1 million copies when released on DVD, and turned Larry into a superstar. His debut CD, Lord, I Apologize, appeared in 2001 and became the Dark Side of the Moon of the comedy charts -- sticking in the Top 20 for two years running. In 2002, a Comedy Central airing of Blue Collar Comedy Tour: The Movie became the network's highest-rated movie in its 12-year history, even with the DVD widely available. Larry the Cable Guy: Git-R-Done became his first solo DVD in 2003, and a year later Larry, Foxworthy, and Engvall turned their tour into the highly rated television show Blue Collar TV. Wearing his redneckness as a badge of honor while hating political correctness and racism equally made Larry a hard target for detractors, but he made news with a 2004 appearance on the morning talk show The View. Clay Aiken fans bombarded the show and the comic with hate email when the comic declared, "I'm on the Clay Aiken diet. That's where you pop in a Clay Aiken CD and try to keep food down." Ignoring the "controversy," Larry spread holiday cheer at the end of the year with his new CD, A Very Larry Christmas, and appeared on Blue Collar Comedy Tour Rides Again. The Right to Bare Arms appeared in March the next year. The year 2006 was devoted mostly to film, with Larry starring in his own feature film, Larry the Cable Guy: Health Inspector, and supplying the voice of Mater in the animated Disney/Pixar film Cars. He also appeared on the CD and DVD Blue Collar Comedy Tour: One for the Road that year, before returning to his solo career in early 2007 with the album Morning Constitutions. By the end of 2007 his second holiday effort, Christmastime in Larryland, hit the shelves.